This week I moved a motion about environmental weeds to try to garner support from the Municipal Association of Victoria (one of local government's peak bodies) to lobby state government. The MAV State Council meets twice a year to consider motions from councils across Victoria and it is another advocacy mechanism for local government. That the MAV seek a commitment from the State government for significant and ongoing funding for local government, effective from the State Government Budget of 2011/12, to allow a collaborative work effort in the management of environmental weeds. Ivy is a big problem in the shire, found in 60% of the shire's high conservation reserves, it is not listed as noxious. It is in many private properties and I encourage landowners to remove it. Ivy has the ability to completely smother trees, destabilise them and cause them to fail. 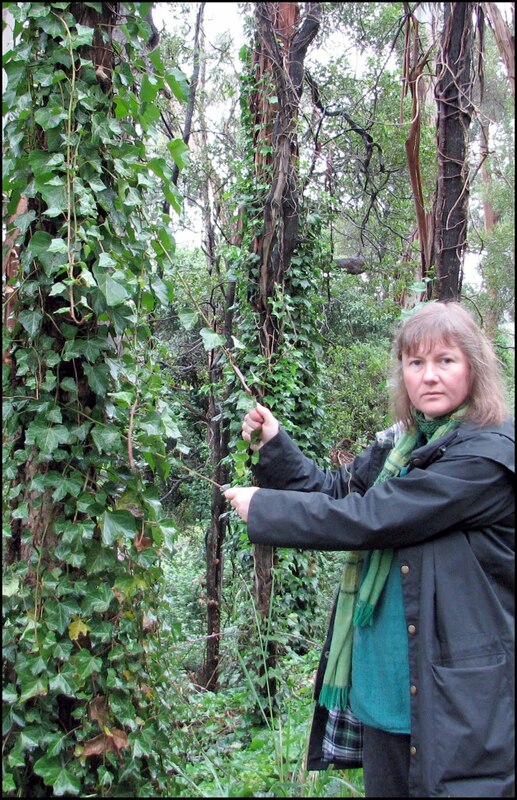 In Yarra Ranges and other municipalities environmental weeds are a huge problem. One of the problems with environmental weeds is that they are not considered noxious. In the shire's top 20 list of weeds, only 3 of them are listed as noxious. Often when government announces funding to tackle weeds it is aimed at noxious weeds, which means councils who are tackling other weed nasties miss out on any funding. Environmental weeds contribute to land degradation, impact on our biodiversity, create greater fire risks, effect water quality and quantity and impact heavily on the budgets of local councils. In Yarra Ranges most of the weeds are on private or crown land as the shire's landholdings amount to only 2% of the shire's 2,500 square kilometres. We work very hard with Friends of and Landcare groups to assist with tackling environmental weeds. But the problem is explosive, the weeds are winning and the Dandenongs are fast becoming known as the Weedynongs. Local government needs the assistance of state government to continue to facilitate collaborate efforts to tackle the problem across all different land holdings. Yarra Ranges councillors voted unanimously to support the motion, let's hope the majority of councils support the motion at the upcoming MAV State Council meeting. The State Government needs to put its hand in its pocket to help local councils with environmental weeds, alone we are losing the battle fast.